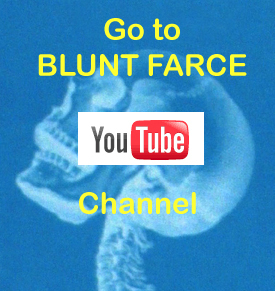 We here at Blunt Farce like a good map. I can stare at a road atlas or Google maps for hours, just imagining the big world and all the interesting places in it. I’ve been to a few of them… but not nearly enough. So it is interesting to look at the YouTube “insight” maps and see all the places my videos have been viewed (or ‘traveled to’) without me. Bud Fallbrook Episode 2 has been up for a little over a week and it has already grabbed over 5,000 views in places like: Sweden, The United Kingdom, Germany, Poland,Switzerland, Italy, Austria, Albania and Japan. Bud Fallbrook Episode 1 has wracked up over 14,ooo views in most of those same countries, but also in: Brazil, Venezuela, Kenya, Senegal, Russia, Finland, Norway, Spain, The Netherlands and even the United Arab Emirates. This isn’t bragging exactly. I know 20k hits is still fairly small potatoes in Youtube-land, but it is still pretty fascinating to me and, keep this in mind: It is all just getting started. I have gotten some great email feedback here and on Youtube. It has really energized me and gotten me excited about starting work on episode 3… which I promise I will be doing… soon. Thank-you EVERYONE for tuning in, and please keep spreading the word. ← Bud Fallbrook Episode 2 …goes live!